I know that is a really bold title, but I promise you, the time that goes into making these beans is worth it. Long post ahead, but that too is worth it. My friend Emily sent me this recipe a long time ago and I kind of passed it by because it seemed pretty time consuming. I recently got into making beans from dried, and picked up 2 bags of dried black beans at the store a few weeks ago for just $1 each. On Tuesday morning, I decided that I would make the beans that night because they’re best made a day ahead, so I set the beans up to soak for the whole day in the morning by just dumping the whole bag into a bowl and covering them with water. 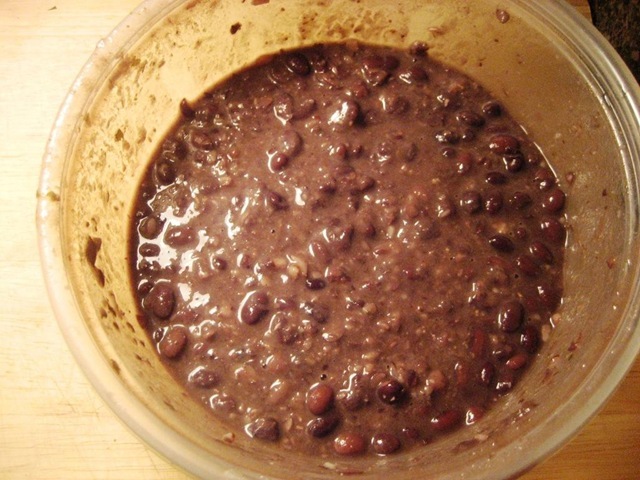 The “trick” to delicious black beans is having them seasoned well with enough garlic, onion, and salt, and they will seriously taste unlike any other black bean you’ve ever tried. 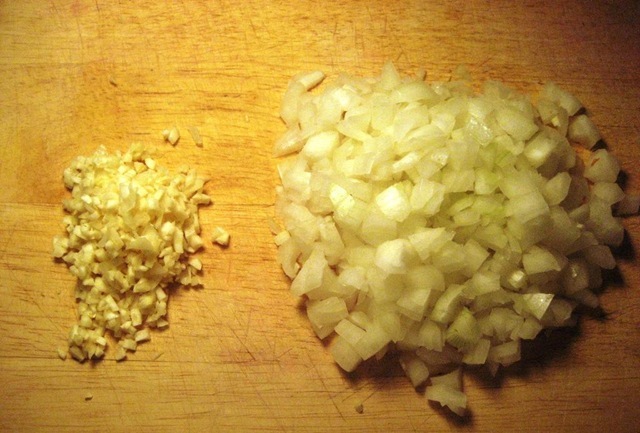 Once your beans are done soaking (for 6 hours, all day, or overnight), you chop up one medium onion and four large cloves of garlic. 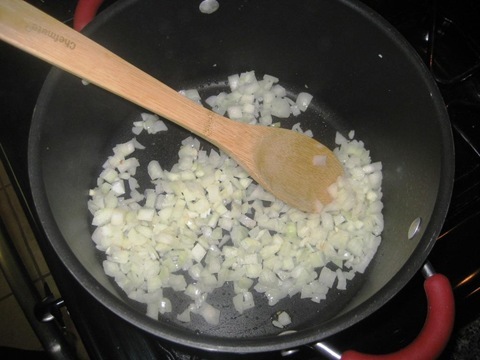 Heat 1 tbsp canola oil in a soup pot/large pan, and then add in the onion. Once the onion gets soft (~3 minutes), add in half of the garlic and cook for another minute or so until the garlic gets fragrant. 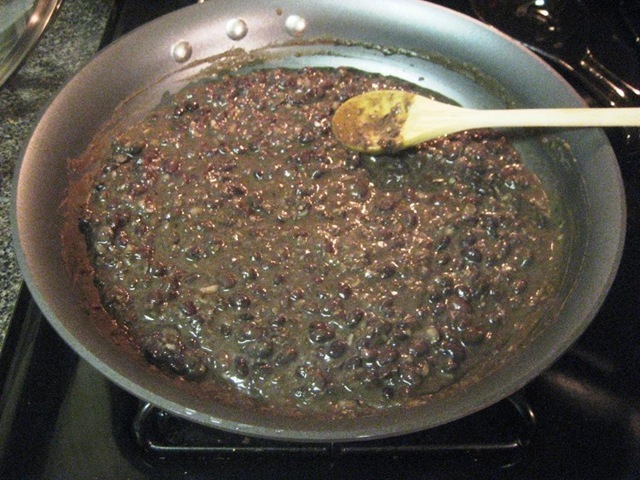 Then add in the soaked black beans (with the soaking liquid) and make sure the beans are covered by about an inch of liquid. If not, add water so they are. 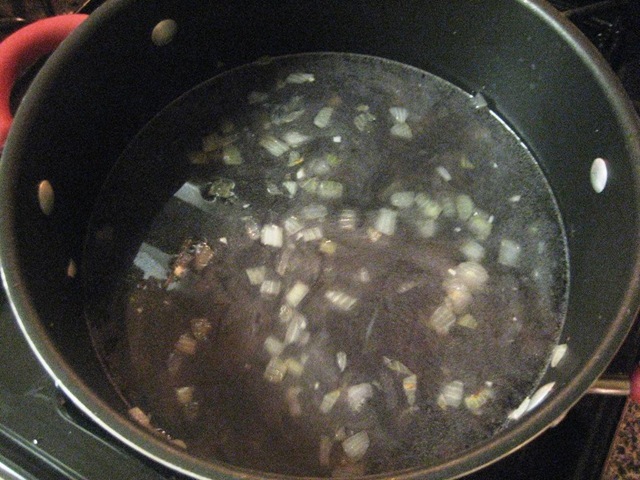 Bring this to a boil and then reduce heat to low and let it simmer, covered, for one hour. After an hour, add in the rest of the garlic, some chopped cilantro, and some salt. I added about 2 teaspoons of salt, but you can add more/less to taste. Cover it and let it cook for one more hour. Then you are done with the simmered beans. While 2 hours is a long time (in my opinion) to cook beans, these turn out INCREDIBLE. They are so flavorful and so worth the time. I made these Tuesday night when I was cooking the Quinoa Pasta with White Clam Sauce, so I was tortured waiting for them to be done. While these are simmering, the sauce thickens up and the beans get soft and so well seasoned. I couldn’t resist a few bites before putting them into the fridge overnight. 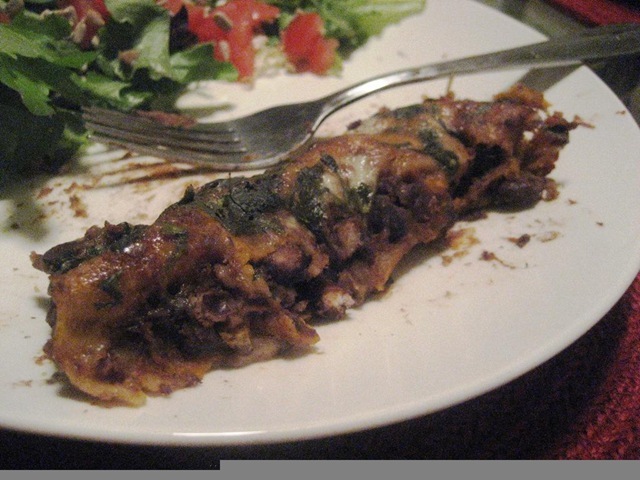 Then the main event came last night, in the form of black bean enchiladas (also courtesy of Emily). I made some adjustments to the recipe because I froze half of the beans and kept half in the fridge, so I made 9 tortillas worth of enchiladas instead of the 12-14 recommended. I also tried to make things a little simpler. First, I took an immersion blender (hand blender) and put it directly into the beans and blended up about half of them, so it looked like this. I heated 1/2 tbsp canola oil with 1/2 tbsp each of ground cumin and chili powder (not toasted cumin seeds like the recipe calls for just because I didn’t have any). Then you add the half blended beans into the pan and cook for 10-15 minutes over medium heat. 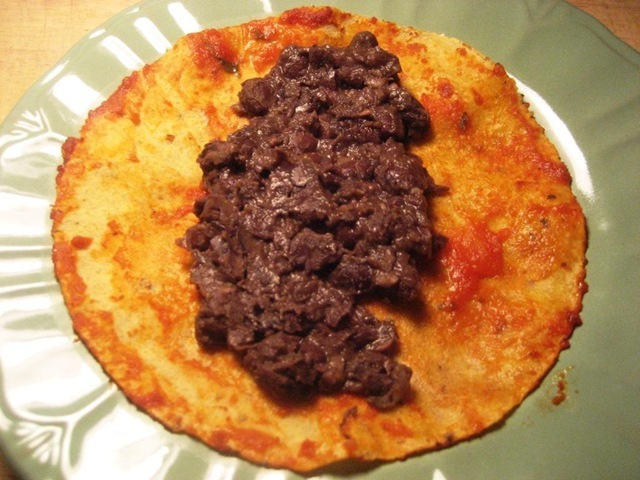 They look similar to refried black beans when they are done. Next, time to prep the tortillas. 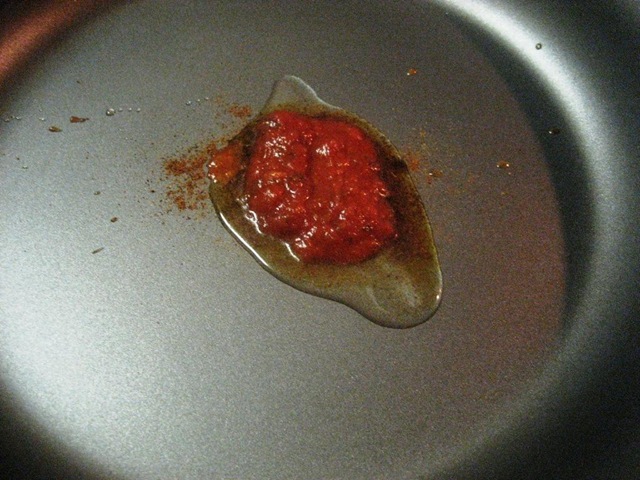 Heat up a little canola oil, a sprinkle of cumin, a sprinkle of chili powder, and a big spoonful of tomato sauce in a pan. One by one, soften the tortillas in the mixture for 10 or so seconds on each side, then flip them, then put them into your baking pan until you’re ready to stuff. Add more sauce and seasonings as needed until all the tortillas are done. Now comes the fun part – assembling the enchiladas! 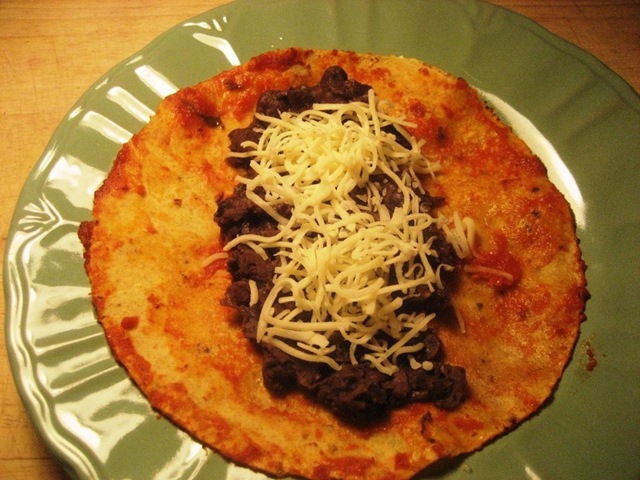 Take your softened tortilla and add a nice size spoonful of the refried-esque black bean mixture down the middle of the tortilla. Add a sprinkle of cheese (I used organic monterey jack). Roll it up and put it seam side down in a pan. Continue until all your tortillas are filled. Then add the leftover black beans, more cheese, and some chopped cilantro. I LOVE cilantro so went a little nuts with it, but you can go a lot lighter if you so choose. The only problem I had was I didn’t grease the baking pan well enough, so they were a little tough to get out of the pan. That did not affect the flavor whatsoever, and I even went back for one more (4 total). This was my first time ever making enchiladas, and they were pretty fun to make and so delicious. Wil had some when he got home and said they tasted so authentic and ate 2 even though he’d already eaten dinner (he’s a man). 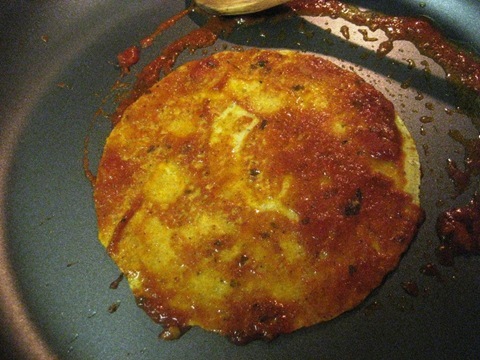 This is an awesome entree to make that is vegetarian but will satisfy even the biggest meat craver. 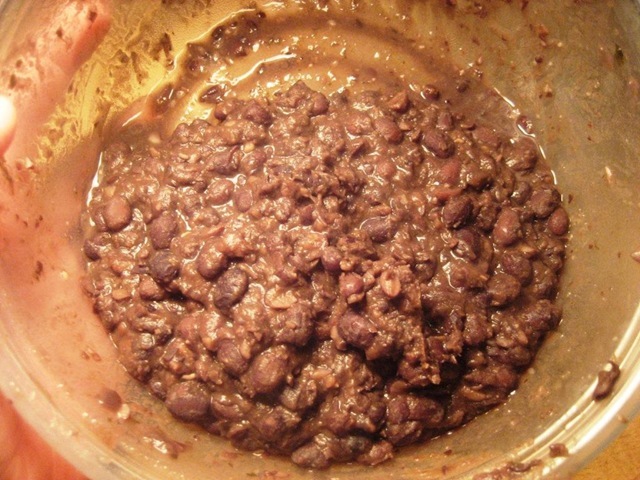 They taste almost meaty and are super filling from the protein in the beans. Go home and make these. I promise you won’t regret it. that is a bold title, but all true! the dish looks so good! These beans look amazing! I never really use dried beans, but you’ve convinced me to try them. Thanks for sharing! Tyler Florence has the best recipe for Chicken Enchiladas. They really are to DIE for, although I know you’re not big into eating too much meat. Pouring a tomatillo salsa over the enchiladas is THE way to go. YUM! These looks delicious! This might be my fun recipe to make next week. I do scaled down mexican alot- simple salads, burritos, etc. Those look amazing. 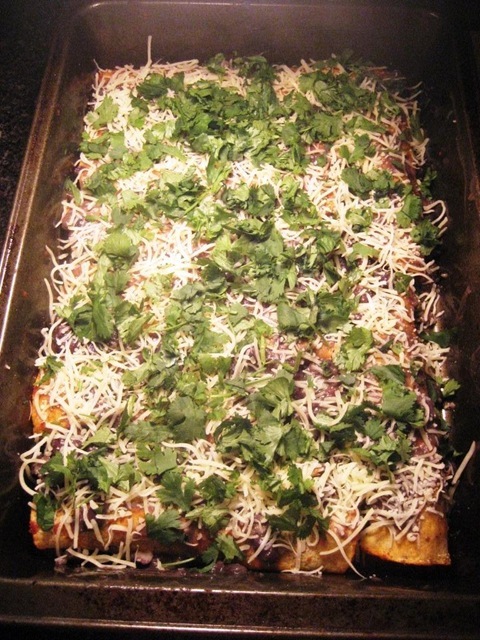 I love getting enchiladas at a restaurant, but you’re right- they’re time consuming to do at home! I am seriously going to make these!! Thank you for walking through it. Okay – I have to try these. I love black beans and these looks DEELICIOUS! VERY bold statement – but these look like they live up to it ! Excuse me while I salivate. YUM! I do mexican alot at home. I’m in Texas, and its so easy. Taco salads, tacos, enchiladas, nachos, etc. 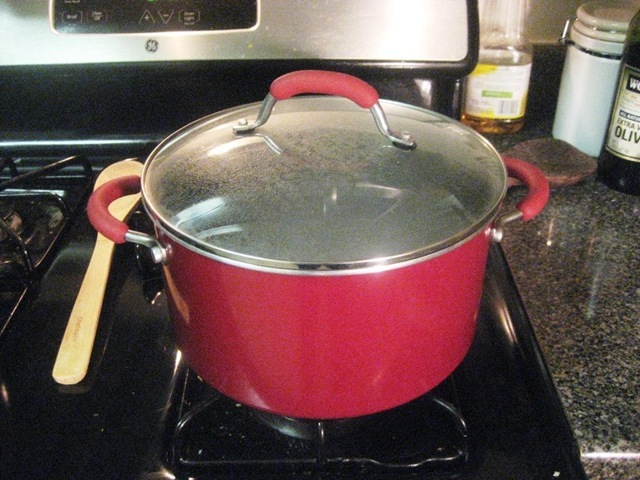 This may be a TMI question…but have you ever had a problem with…um…flatulence when you cook dried beans? I made some ONCE, and they made me feel just awful 🙁 I thought maybe it was because I did cook them covered. Any advice? no such thing as TMI! 🙂 I don’t really have an issue with getting gassy while eating beans because I eat them a lot. I know it can be a common problem for some people, especially when your body isn’t used to it. I’d suggest easing yourself into eating beans – like start with 1/4 a cup instead of 1/2 cup and supplement it with another form of protein until your body gets used to it and then up the serving. I don’t think there should be too much of a difference between dried and canned beans, though! 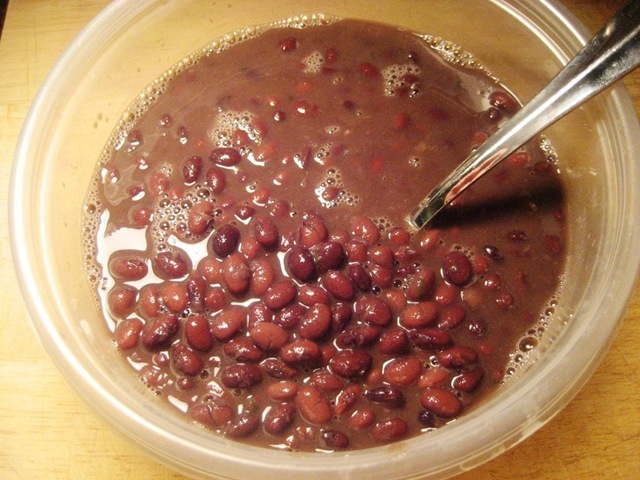 I actually eat a lot of beans…I just don’t cook them at home, which I would like to start doing, since it’s cheaper. I’m going to give them a go one more time—maybe that other time was a fluke! Also, thanks for the quick reply, Beth! WOW, those look so yummy! And for first time enchiladas I am very impressed. My favorite Mexican dish to make at home is probably taco salads, they are just so simple but fill my Mexican craving. Guacamole – I picked up the best recipe ever while living in New Mexico. 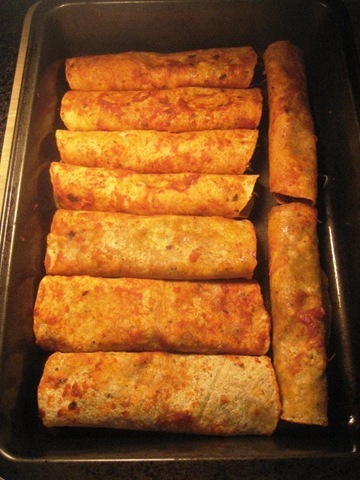 Those enchiladas look delicious!! I love anything involving Mexican food especially salsa 🙂 Basically I use anything as an excuse to get salsa in my mouth! Hi Beth! I wanna try this out this evening, but not sure how many beans you soaked to add to the onion and garlic?! I can’t wait! Thank you…will be trying in my slow cooker too! Wish me luck! All of your recipes look so fab and you make it seem so effortless!!! Um, Beth? Life=officially changed. Like, no joke. Made a big batch of these this weekend to freeze, and I’m not sure they’ll make it into the freezer! TOLD YA!!!! 🙂 I’m so glad you tried them! 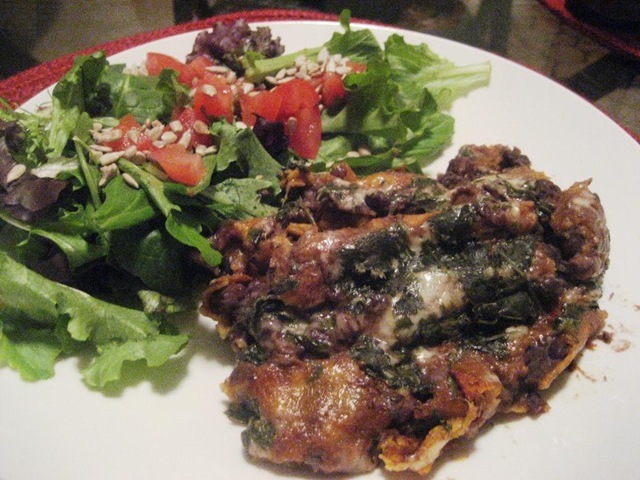 Beth, I am a newcomer, but love your story and your recipes. Is there some way to print your recipes that I just don’t know about? Thank you for posting this. They look delicious. 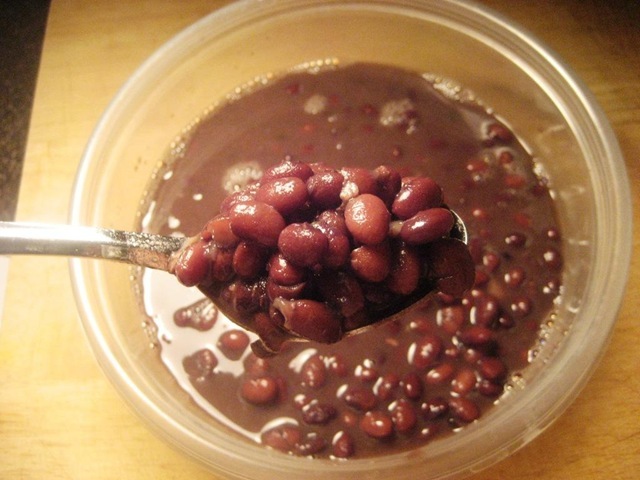 One question though: Is there a reason you used the soaking water to cook the beans? I always heard to discard the soaking water and cook with fresh water. (not sure why, maybe the starches or maybe for gas reasons?) I didn’t want to use fresh if there was a reason for the soaking water. Sorry-One more question. Do you know the Points value for each enchilada? Thank you! I made these for my family two nights ago and they were a huge hit! I didn’t have any tomato sauce, but I had some enchilada sauce and used that instead. Thanks for a recipe that all my family (including 4 little boys) loved. I just made these tonight (two hour beans and all) and they were phenomenal!! I’m excited for lunch tomorrow, too! 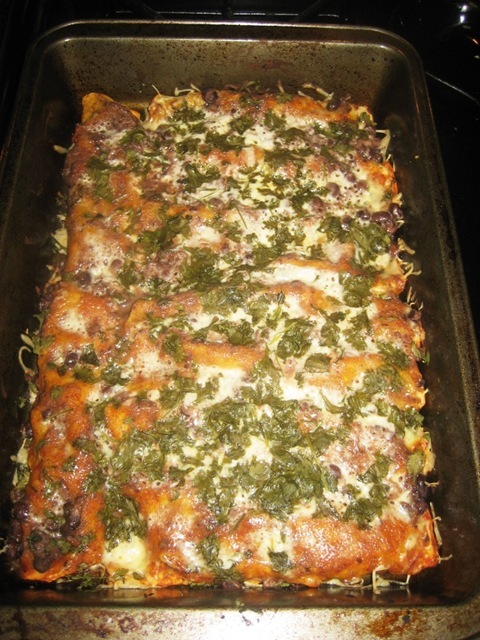 What are the points plus values for the beans and the complete enchiladas? Serving size? did I miss this? I actually never posted the pointsplus value because i didn’t calculate it! What i usually do is just use 1/2 cup and count it as 2pts+, but that’s not calculated from the nutritional info, just from the tracker’s value for black beans! Yes I would like to know that point value as well. Hi Beth, I’m a new follower and am enjoying being a part of your journey. I LOVE black beans and cilantro, so I am certain that I will love this recipe. One quick question. 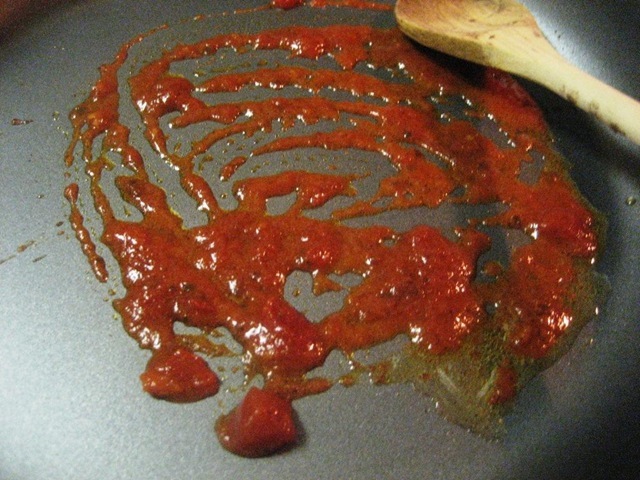 Your recipe mentioned using some tomato sauce to heat the tortillas – do you use more tomato sauce on top of the enchiladas? Thank you! Hi Shelly! So glad to have you here! 🙂 I just put the extra beans on top, not extra tomato sauce, but you could if you wanted to! The best part about every recipe you’ll find on this site is that they are totally customize-able!